← A Powerful, Much-Needed Salve for the Pirates; Perhaps a little Joy in Mudville? Fair or not, today’s noon AAC league match-up in Philadelphia against the Temple Owls may very well go down in history as the biggest game in Coach Mo’s career. Bigger than the UNC-CH game and the newly added potential match-up against N.C. State on December 1st by a quantum margin. DEFENSE is the key today. Is the Pirate D really back? If so, the Pirates can win this game. On the cusp of equaling his win totals in each of his first two seasons, Coach Mo finds himself in unchartered waters. After everything that has transpired in the past two seasons, a win over Temple might actually be worth a ton of credit in the bank of the ECU faithful. To push over .500 in the W-L column, pull even at 1-1 in the AAC East standings and get a meaningful win early in the season would be a spectacular fete not only for Coach Mo, but for the team overall. The near-miss at USF would be validated with a win over Temple on the road. Another strong defensive performance would settle the hearts and minds of the ECU fan base that the changes are REAL and consistency is achievable. Another solid running effort, too, would lend evidence that Coach Mo really does know how to build things. Coach Mo has reason to smile lately, but the happy cycle can be very short. And, most importantly, a win would buy another week of Pirate Nation support. 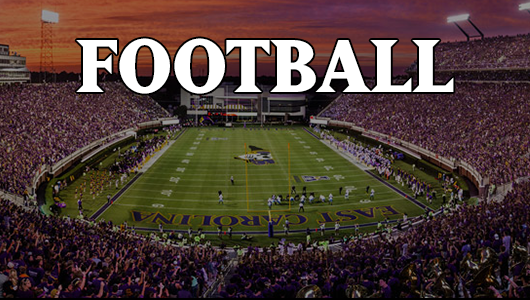 As bad as the last two seasons were on and off the field, the ECU football program is experiencing a fan base that has moved to an installment plan. Giving each week that they get something in return from the previous outing. As for today’s game, it is a pretty simple recipe: Run the ball, stop the run, and play with more physicality than we have in the past match-ups with the Owls. Special teams may very well decide today’s contest. If Coach Mo and his Pirates want to make good on the coach’s bold promise for post-season this year, it starts in earnest today in Philly…get this win and Houston becomes a true possibility next week. Lose today, and there may very well be a bunch of missed installment payments next week. Love to hear any last minute thoughts. I didn’t see you post until after the Temple game. I agree with pretty much everything you said, and now, post game, we see how all that turned out. As much as Pirate fans want Coach Mo to succeed it is awfully hard to detect much progress. I’ve seen the time in years past when a game like that would ruin my entire weekend, I would not sleep very well and be in an overall foul mood. Now, after what we have see the past two years, I can turn away from the game early in the second quarter with no problem at all. I deleted my recording of the game without even a thought. I believe Pirate fans are on the verge of checking out for the rest of the season if the Houston game goes the way Temple did. Our administration has made a hash of our football program with a series of inexplicable decisions and the results have bitten them squarely on the buttocks. Another 3 win season and I believe you can just about say goodbye to our football program pending a major rebuilding effort and at least 3 to 5 more years waiting. And where is the payback to the people who put us into this situation? Well said TTH…it is so sad and like you, it was shockingly easy to tune out at half-time. I fear your prediction is the likely path here. With our athletics program (meaning football really) struggling financially, how likely is it that no matter what the final outcomes are this season that Coach Mo would be let go? Not likely. Moreover, what proven coach can we afford as we are once again paying people to leave. I told myself at the beginning of the season that all I wanted was competitive football to keep me locked in. Honestly, up to this game, I was ok. Sure, coaching probably kept us from being 4-0 but still there appeared a marked difference in this year’s team from a passion and chip perspective, but what was on display in Philly once again was complete unpreparedness and inability to adjust at all. And the lack of passion was disturbing. I guess on the other hand, I can enjoy other things on a Saturday and my DVR space can be put to another use. Thanks for checking in TTH…I’ll still tune for kickoff against Houston, but beyond that…not sure how long I will be locked in.